Available in the 1995x7 offer. 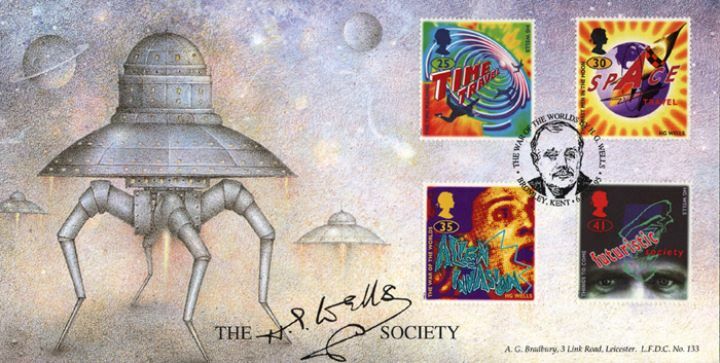 The above Royal Mail Science Fiction stamps were issued on 06 June 1995 by Royal Mail and feature the following stamp designs: 25p Time Machine; 30p First Men in the Moon; 35p War of the Worlds; 41p Shape of Things to Come. The War of the Worlds first day cover with the Bromley Special Handstamp postmark has been produced by Bradbury and features these stamps which can make a very collectible and lovely gift.